Discussion in 'Disney Pin Discussion' started by TonkaToy, Sep 15, 2018. I see on PinPics that there are some pins available from Target. I like the pie eyed Mickey Mouse ones. Question: Are these sold at Target all over the country, or just in Florida? And...if they are available in all Targets, what section of the store do I find them in? I got mine earlier this year and haven’t seen them in my target in a little while. A lot of people were trading them though! Those ones were sold at Targets all over a few months ago, though that was for a limited time and their Disney merchandise event has ended. There are a few Targets near Disney parks that sell Monogram brand Disney pins off and on. I know the one in Anaheim up the street from DLR sells them occasionally. Okay, thanks, maybe I'll just try to trade. What section of the Target stores were the pins in...just on the off chance that there are still some kicking around. In my Target store I found them in front of the seasonal/holiday section. At my store they were in the Stationery section. The only pin set I recall sans the parks local ones was a fill in your own enamel Disney pin set for $10 that was in the craft aisle. 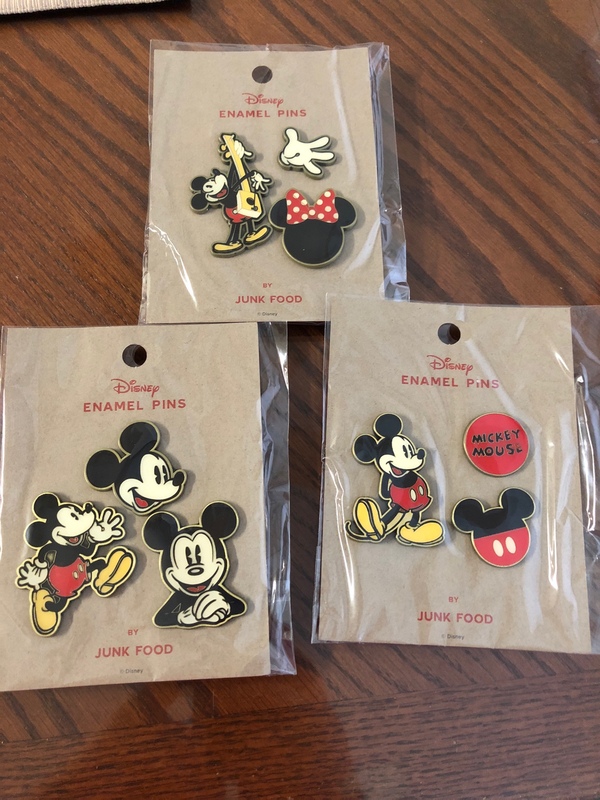 I have all 3 of the pin sets for trade. My pinpics is nateeter. One Target I went to had it by the girl’s clothing section. Another Target had it by women’s accessories. So as others said, it seems to vary. My Target (NorCal) initially had them in the kids' section, then moved all the limited-time Mickey merch to the women's clothing area for a couple weeks. Haven't seen it since all the Halloween stuff took over, though it's possible it's kept in yet another section of the store (the pins definitely weren't flying off the shelves or anything). Found them at our Target here in between the little girls and boys section around the hats and caps. I think it was pretty much wherever each Target had room to shove in a display, since every Target I went to seemed to have them in a different section.